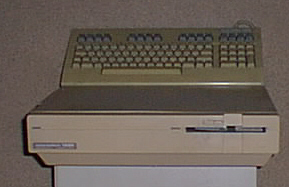 The 128 was an attempt to make a superior computer to the C64, but retain compatibility. They gave it a nice white color (rather than the ugly BROWN 64) Gave it an extra CPU, and an extra video chip. Now the 128 has a built in 2Mhz 8502 CPU (6502 compat) and a 4Mhz Z80A for running CPM applications. The extra video chip only worked with RGBI monitors and could produce resolutions of 640x200 with 16 colors. For a Commodore, that was pretty good. In fact, in 1985 that was almost the best there was, next to Amiga. The 128 could easily be a C64 just by typing "GO 64" on a command-line and it would go into a 64 compatibility mode. Disk access was over 10 times faster on a 128. 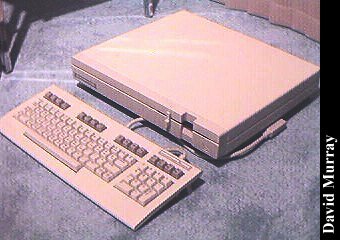 The Commodore 128D was a new revision for the C128c, Commodore's upgrade from the C64. It was made in 1985 and 1986. It has a few upgrades over the C128c. First it is in a more PC-style case with a seperated keyboard. It has a 1571 floppy drive inside the main CPU case. (The drive is actually manufactured by Mitsumi and is the same drive used in PCs, just a different controller chip) The video-RAM in the 128D was increased to 16K to 64K. 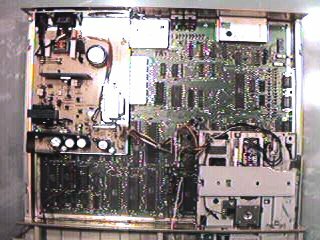 The failure of the 128 series is attributed to its lack of software. Despite its superiority to the 64, few software companies supported it because they knew that if they wrote the program to work on a 64, it would also work on a 128. Why write two programs? Click here to view all comments for the Commodore 128D and to leave your own.